As at-home mechanics who want to take their rebuilding skills to the next level, learning about precision measurement and how to properly use precision tools is the final frontier. This free downloadable guide covers everything you need to know about the correct use and implementation of precision measurement tools when rebuilding your own engine. 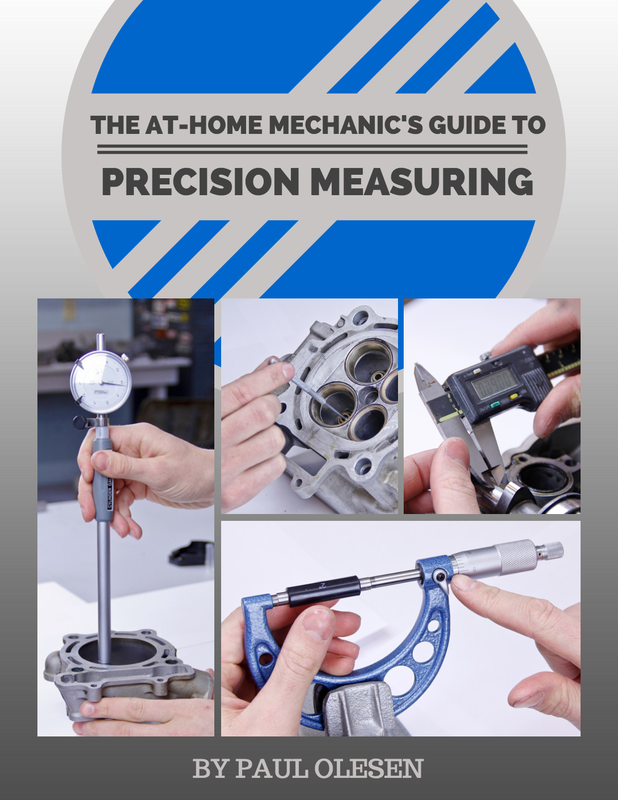 Included are step-by-step instructions and full color pictures on how to properly read, calibrate, and use precision measuring tools when engine building. This free guide comes right out of The Four Stroke Dirt Bike Engine Building Handbook, the engine building book I wrote for my fellow riders who want to bring their engine building skills into a professional realm in their own garage. Click the button below to download your copy of The At-Home Mechanic's Guide To Precision Measuring. Good luck with your build and let us know at support@diymotofix.com if you have any questions! Success! Now check your email to download your FREE Precision Measuring Guide.